A new range of flexible, lightweight and extremely robust safety footwear, which guarantees maximum protection in the most extreme working conditions: heat, oils and acids resistance. 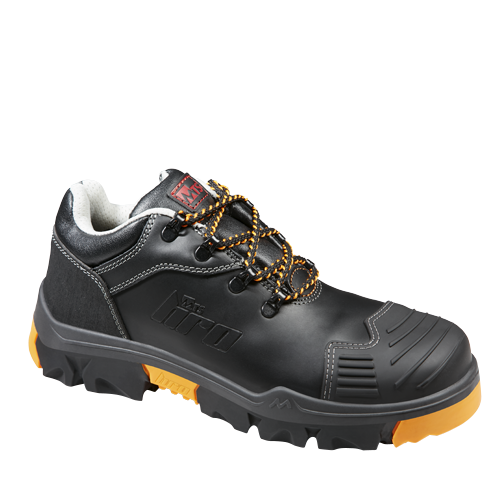 Equipped with an innovative and exclusive dual density sole in PU/NITRILE HRO with phosphorescent inserts orange color, this new range offers day and night high visibility, to work safely! Ideal for : oil industry, metallurgy, construction, chemical industry, building material industry, night work, highway maintenance, road construction, waste collection. Orange color phosphorescent inserts: DAY and NIGHT high visibility!